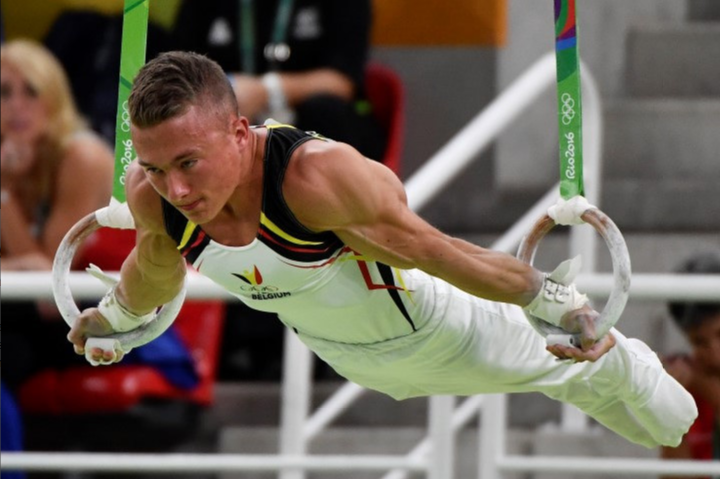 Belgian Gymnastics: 2016 Olympic Games: 8th place for Dennis in the rings final! 2016 Olympic Games: 8th place for Dennis in the rings final! On the second day of event finals, our very own Dennis Goossens entered the arena for the rings final, one of the most difficult in the gymnastics world. Dennis Goossens's Olympic Games were already a success. His main goal was to reach the rings final, and he did it on the very first day of competition. Everything that would come out of this final would be a bonus. Dennis was the 3rd gymnast to go, right after the heavy favorite, Eleftherios Petrounias, who went on to win the gold medal with a huge 16.000. With no major mistake and just a step on the landing, the Belgian gymnast earned a good 14.933, a bit lower than what he got in qualifications, and unfortunately not enough to be in a medal position. Dennis placed 8th, in a great final, highlighted by the joy of the Brazilian crowd when Arthur Zanetti, the defending Olympic Champion, placed 2nd and won the silver medal (15.766). The bronze went to Russia's Denis Ablyazin (15.700). 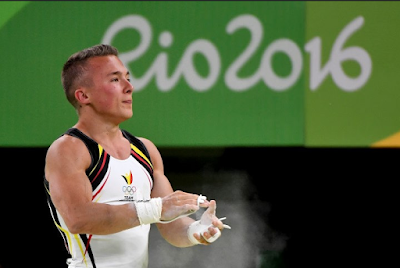 After Belgium missed a team ticket at the Test Event, Dennis earned his spot for the Games and he did amazingly well in Rio, becoming the first Belgian gymnast ever to qualify for an event final at the Olympic Games. Dennis, proficiat! Hello! I was really excited when I found your blog. Thank you for interesting and informative post! I want to share with you a good site for watching sport games online http://livesports.one/ . It is very simple and comfortable in navigation. I think this site will be interesting for you. I like basketball too, so I often watch the games thanks for that site. What can you say about it?